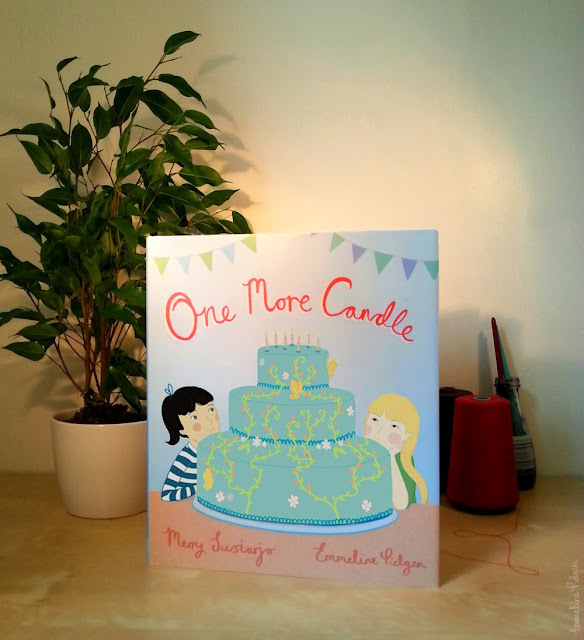 It's not long now until the huge launch of the newest picture book I've illustrated: One More Candle. In the run up to it's release on September 1st 2013, you can be in with the chance of winning a copy for yourself. Together with the author Merry Susiarjo, we're offering up one gorgeous hardback edition and one shiny second prize paperback to two lucky winners anywhere in the world! Nola is just over a year younger than her sister Betty, and they decide to have one big, shared birthday party every year rather than each having a smaller one. But poor Nola gets upset that Betty always has one more candle than her, and fruitlessly seeks help from all the light-giving things she finds in the world outside. But just as she begins to accept the reality of their different ages, the solution comes as an enchantingly simple surprise. 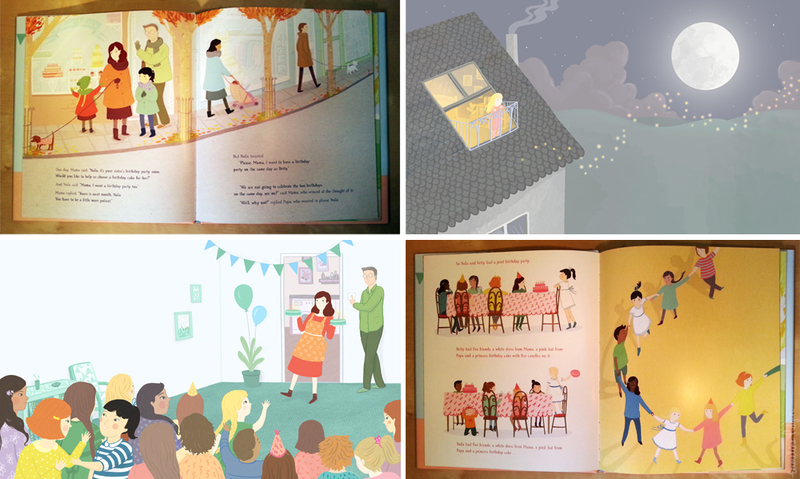 Emmeline Pidgen's authentic and imaginative illustrations bring this sweet and gentle picture book story magically to life. It's had a ton of absolutely top-notch reviews across the board so far, so I'm incredibly excited for it's release! It was certainly one of the most fun (and relaxing!) commissions I've worked on in a long time, and I think that really comes through in the illustrations. If you get hold of a copy (or if you're lucky enough to win one!) do let me know what you or your little'uns think. It's easy peasy to enter through a variety of methods using the widget below. So tell your buddies! Best of luck! OH my, I would just adore a copy! I would love to win a copy :D Great work! I need a free copy right now! this looks absolutely beautiful :) would love to win!